Attention all beginners! The CX is an ideal first unicycle with quality construction and components to withstand the knocks of learning. 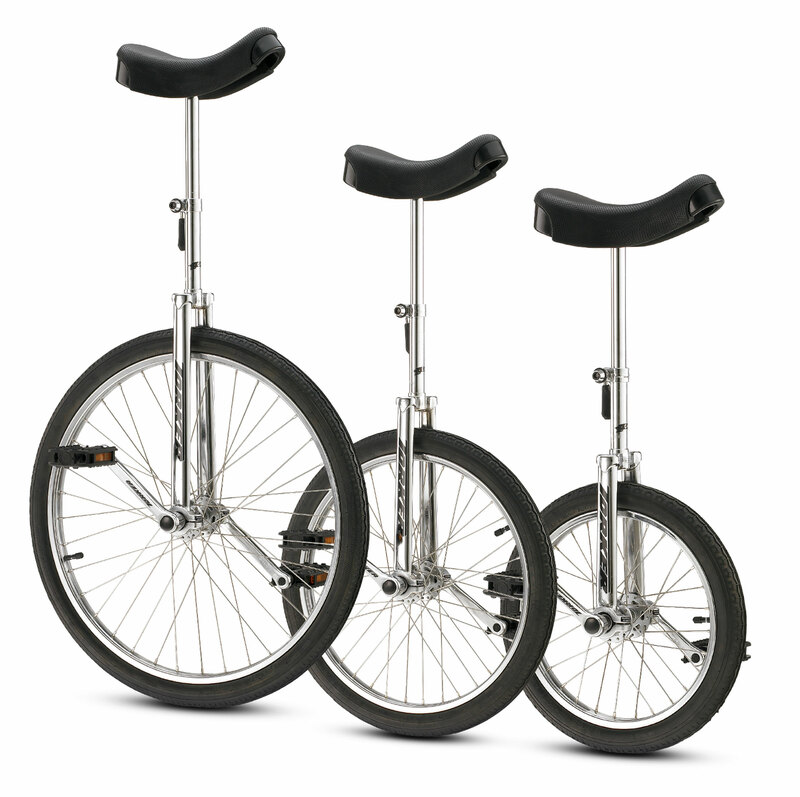 The entry-level specific design boasts features that will enhance your first unicycling experience. Durable hi tensile steel frame in 3 sizes. Steel contour cranks, with nylon platform pedals. Comfortable saddle with built in scuff guards. Colors: Chrome, Electric Blue, Electric Red.